Oh emmm geeee! 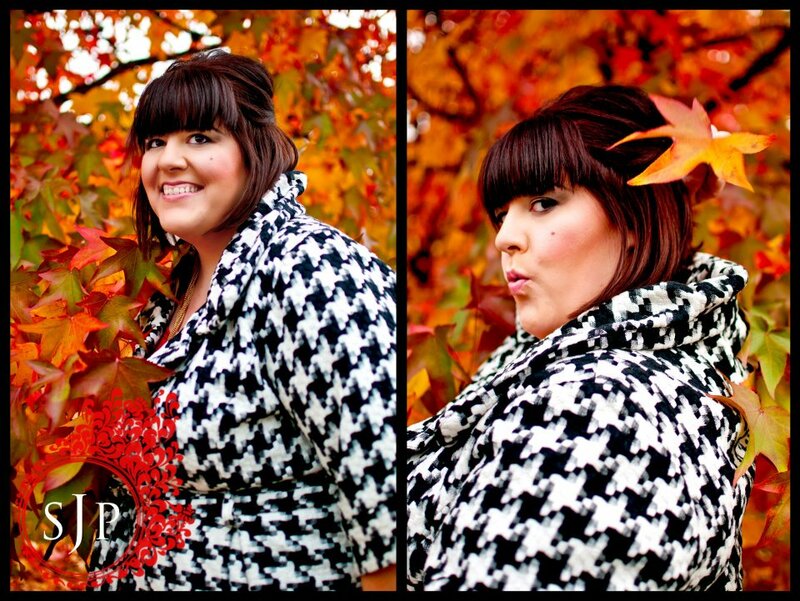 I had the most fun shooting these photos with my photographer, Stacy J Photography! I've been working with her more now on my blog photos for a few reasons, one - I am tired of shooting myself! ahhaahaah! two - Stacy is an AMAZING woman, an inspiration and a beautiful talent, and I just love her so much I want you all to know and love her too. 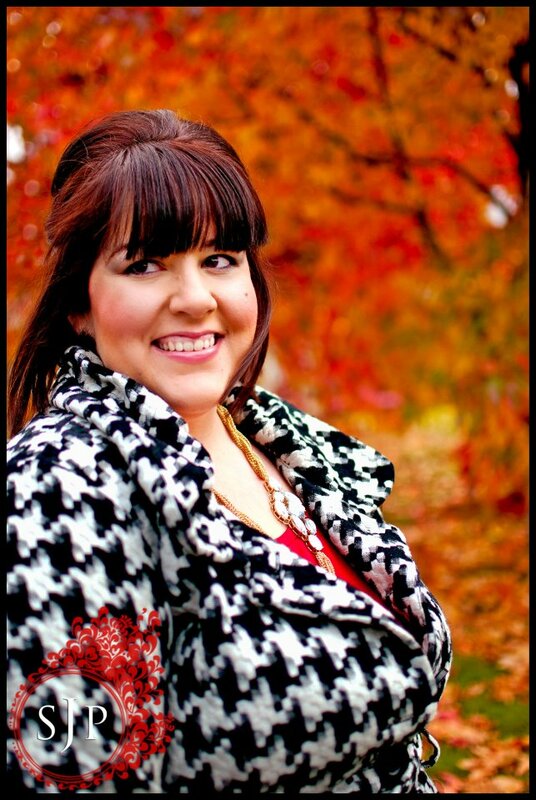 Houndstooth - Can NOT get enough of it, and this vintage Torrid jacket is still perfection. 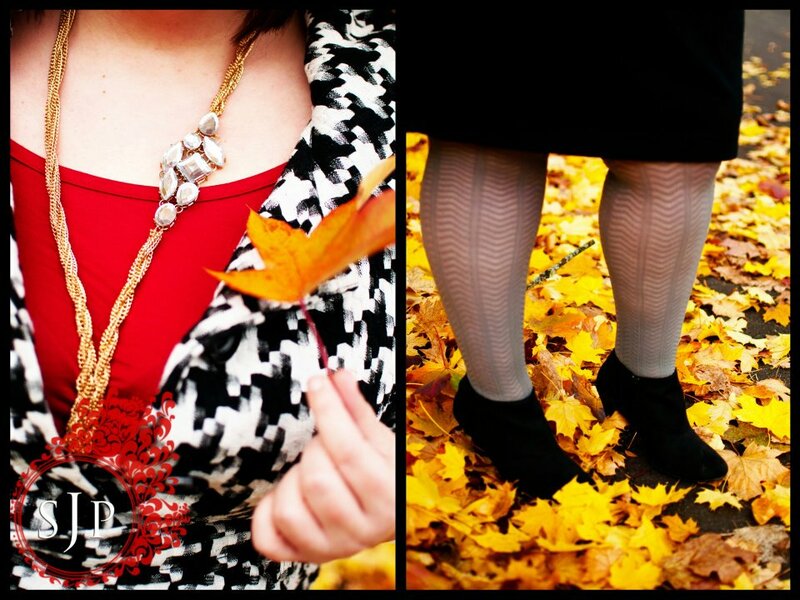 Textured Tights - I've had these tights for quite a while, but never wore them! Blasphemy! They are so fun. 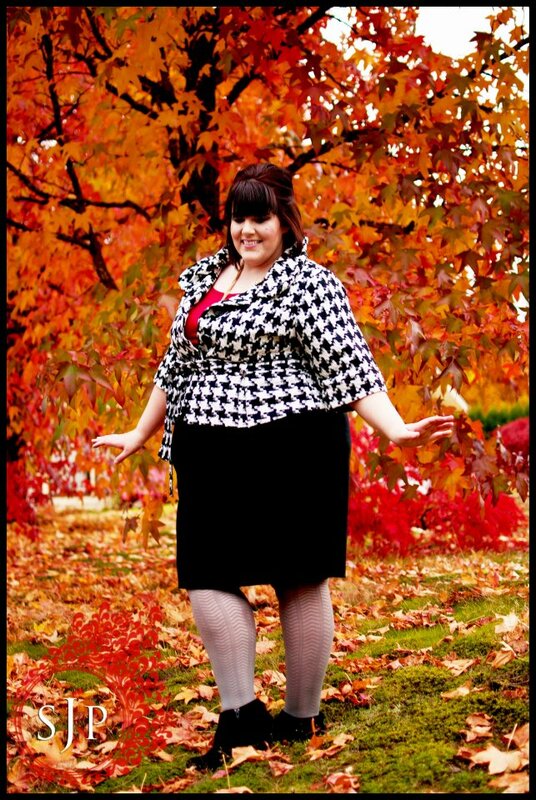 And yes, big girls CAN wear textured tights! Ankle Boots - Since I have average legs, I like the angle boots because I feel taller and feel sexier in my tights. Great for the rain as well! Show me how you're wearing these trends! Upload your picture to my facebook wall, I'd love to see! Thank you so much to Stacy for the photos!!! Visit her fanpage at http://www.facebook.com/StacyJPhotography. Necklace - Gift from friend/ ALDO?